STYLISH TOWNHOME WITH 3 BEDROOMS, 3.5 BATHROOMS & 2 CAR GARAGE. In the beautiful and highly desirable private gated community of Hidden Bayou. Open floor plan and cathedral ceilings create a light, clean, airy appeal. Chef's kitchen with granite counter tops, glass tile backsplash, breakfast bar, stainless steel appliances, pantry with etched glass door and lots of cabinet space makes cooking a joy. The downstairs master suite with sliding glass doors to the screened lanai, has dual sinks, a relaxing tub, separate glass shower stall and walk-in closet. The huge living room with soaring ceilings has 12' triple sliding glass doors that open to the screened lanai. There is also a half bath downstairs. Beautiful staircase leads to a natural light filled 14x23 loft/bonus room that is large enough for a pool table or home theater. The 2nd bedroom has an en suite bathroom and the 3rd bedroom has an adjoining bathroom. Over sized garage has kitchen grade cabinets and countertop with lots of storage. Hidden Bayou is a beautifully landscaped, quiet, gated community with low HOA fees. There are 2 gated entrances, community pool and a kayak/canoe launch in the bayou that connects to the intracoastal waterway. 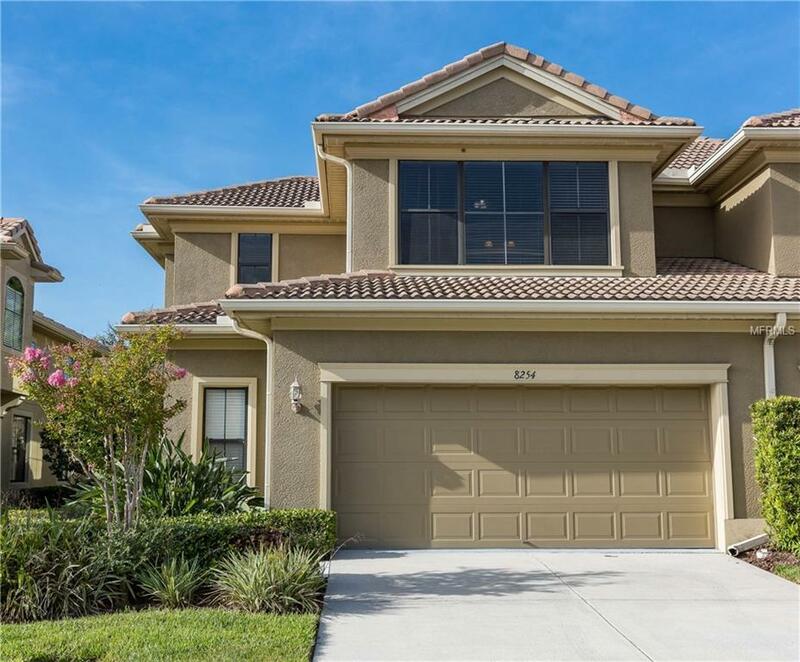 Centrally located and just minutes to beaches, shopping, restaurants, parks, golf course, Pinellas Trail and airports. This a a must see! Pet Restrictions One Dog And Two Cats. Buyer Will Need To Verify Weight Restrictions.